Beware, I’m about to mix a classic science fiction franchise with a super hero franchise. But trust me when I say this case of mixed metaphors works. 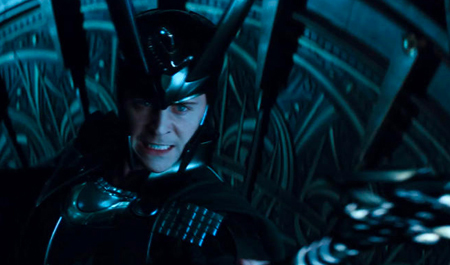 So bear with me and join me into Part Three of “I am Loki”. Click the appropriate link for Part 1 and Part 2. In Star Wars Episode 1, a movie most people would rather not talk about, Yoda makes a statement when he senses fear in young Anakin Skywalker. He says, “Fear is the path to the dark side. Fear leads to anger. Anger leads to hate. Hate leads to suffering.” And apparently suffering leads to the dark side….or hate leads to the dark side and the dark side causes suffering? 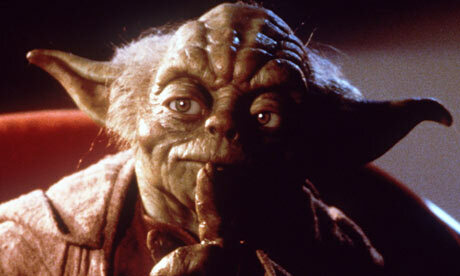 Either way, Yoda is saying that it’s fear that is the impetus that leads people to evil. I’m generally hesitant to disagree with a Jedi Master, especially Master Yoda who has been practicing the arts of the Jedi longer than the country I live in has been around, but on this matter I must disagree. It’s not that I don’t think fear can lead to the dark side. It can. I just think that it’s not THE path to the dark side. I think there are much more common ways there. And I think Loki displays the most common path to the Dark Side: Sisyphean Ambition. What is Sisyphean Ambition you ask? Well that’s a good question considering I made the term up after trying to poll my friends for a word with a specific meaning, and it turns out such a word doesn’t exist. So what am I trying to say? What I am trying to describe is the ambition to earn something you can’t possibly earn. Like Sisyphus rolling that rock up the hill every day only to have it fall back to the bottom before he can reach the top. The terrible thing about Sisyphean Ambition is that it doesn’t always seem like it should be Sisyphean, which is what leads the person to pursue it. To use our current example, Loki’s Sisyphean Ambition is to be loved equal/the same as Thor. This pursuit is not particularly ignoble, in fact it’s rather a sympathetic one—one many of us have probably felt at different points in our life. He wants it so badly, and he does everything in his power to try to earn it. The problem is that it’s impossible to love two people the exact same way. And it’s impossible to earn love. Unrequited love is often a Sisyphean ambition. You love that person so much, but no matter what you do they do not love you back. You try to earn their love but you can’t. And often that unrequited love can lead to you hating that person if you’re not careful. How? Well, I would argue that Sisyphean Ambition leads to resentment. Resentment leads to hate. And in the true words of Master Yoda, hate does lead to suffering. Some things we can’t earn or make happen, no matter how much we try, and that ambition, that intense desire to make the Sisyphean possible often leads to resentment. We resent the people who have what we want. We resent the forces that thwart us, whether they be science or God. We resent that no matter how hard we try we can never, ever earn what we want. And that’s a thought humans just can’t stomach. We want everything to be earnable, whether it’s the American Dream or Salvation. But Salvation can’t be earned, and for some us, that’s a completely baffling and infuriating thought. If I try hard enough, if I set my mind to it, if I do everything in my power I can, I should be able to earn whatever I want. But you can’t. Loki can’t. I can’t. Loki wanted to be loved equal. Anakin wanted to find a way to stop death. Many super-villains want to be God. But these desires are impossible and impossible to earn no matter how much we try. And because we can’t have it, we resent. And slowly our resentment turns to hatred. And hatred always leads to suffering. Click here for the Parable of the Prodigal Son (which you should read before Part IV), and click here for Part IV: The Prodigal's Brother and Me.